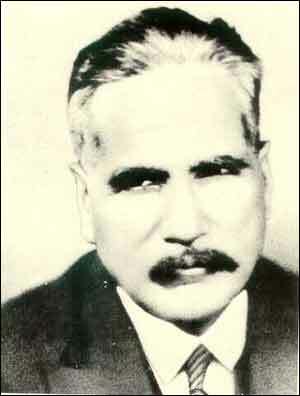 One of greatest Muslim philosophers and ideologues of all times, Dr. Allama Muhammad Iqbal, gave special attention to the idea Finality of Prophethood (Khatam Al-Nubuwwah) and at length wrote about its significance in the House of Islam. “Since the Qadianis believe the founder of the Ahmadiyya movement to be the bearer of such a revelation, they declare that the entire world of Islam is infidel. The founder‘s own argument, quite worthy of a mediaeval theologian, is that the spirituality of the Holy Prophet of Islam must be regarded as imperfect if it is not creative of another Prophet. He claims his own Prophethood to be an evidence of the Prophet-rearing power of the spirituality of the Holy Prophet of Islam. But if you further ask him whether the spirituality of Muhammad is capable of rearing more prophets than one, his answer is “No”. This virtually, amounts to saying: “Muhammad is not the last Prophet; I am the last.” Far from understanding the cultural value of the Islamic idea of finality in the history of mankind generally and of Asia especially, he thinks that finality in the sense that no follower of Muhammad can ever reach the status of Prophethood is a mark of imperfection in Muhammad‘s Prophethood. As I read the psychology of his mind he, in the interest of his own claim to Prophethood, avails himself of what he describes as the creative spirituality of the Holy Prophet of Islam and at the same time deprives the Holy Prophet of his ‘finality’ by limiting the creative capacity of his spirituality to the rearing of only one prophet, i.e., the founder of the Ahmadiyya movement. In this way does the new prophet quietly steal away the ‘finality’ of one whom he claims to be his spiritual progenitor. Your title read likes Brother Waqar Ahmed Cheema is doing false & baseless propaganda against Great Islamic Scholar & poet Allama Iqbal. Please consider re-wording it so that it is clear Brother Waqar Ahmed Cheema is refuting the propaganda.